Treasure Island must be the most enthralling adventure book ever written. 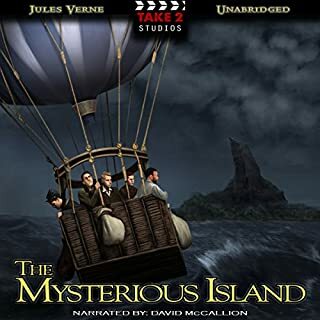 As we listen to the voice of Jim Hawkins telling his extraordinary tale, and later that of his companion, Dr. Livesey, we are plunged into a world of pirates, buried treasure, mutiny, and deceit. We meet Billy Bones, Blind Pew, Black Dog, and, of course, the charming buccaneer Long John Silver. The action and adventure never falter, and the spell of this enduring story is sustained until the very last word. Jasper Britton does a fantastic job. 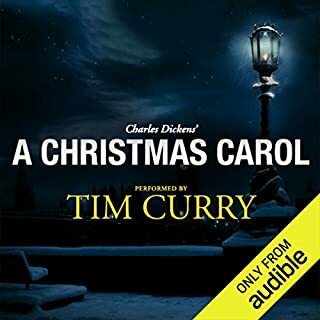 Each character has a wonderfully performed voice from first to last. His Long John Silver is a gem. Huzzah for you my man. 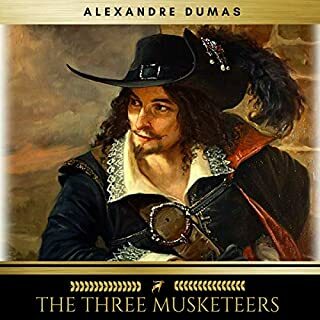 And shiver me timbers but that was a stirringly read tale and no mistake. Great narration! I loved each character's distinct and on-brand voice. Made the book ten times better. Five stars. I never read Treasure Island as a kid but I listened to this after I gave the CDs to my 8-year-old nephew, Jack. What a great story! Fast moving, suspense, it's got a lot going for it. And the narrator is a great story teller with a flexible voice who doesn't get in the way of the story, as some do. He voiced Jim Hawkins youthful, excited, sometimes breathless; just right. And the other voices were rendered so well that one would think that the story had multiple narrators. I highly recommend this version. Jack loved it. It's been many years since I read this book. The story is as good as I remembered it and the narration is excellent. This reader brings not only excellent voice characterization to the reading but also enthusiasm. Too many books are read in a boring, almost monotone, presentation. 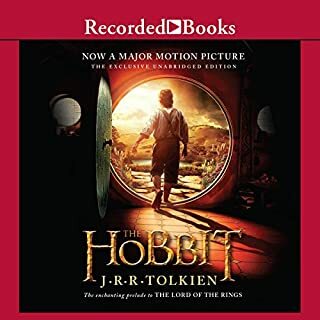 This narrator really brings the story to life. 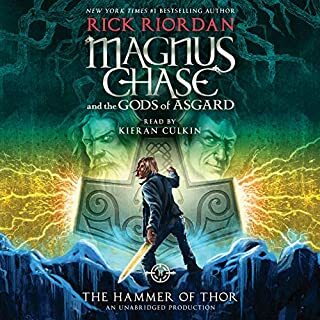 I listened to samples of other readers narrating this book and I'm very glad indeed that I chose this one. 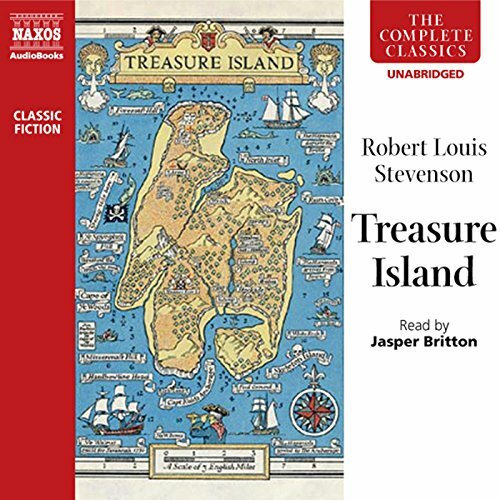 I read Treasure Island as a kid and loved it and just finished listening to Jasper Britton reading it forty years later and thoroughly enjoyed the experience. Britton is a wonderful reader! 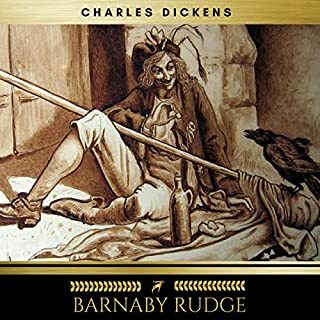 He reads the main narration by young Jim Hawkins with engaging youthful enthusiasm and the voices of the other characters with great variety, among them Billy Bones' paranoid alcoholic bullying, Doctor Livesey's educated and measured eloquence, Blind Pew's querulous menace and outrage, Squire Trelawney's good-natured aristocratic bluster, Long John Silver's roguish friendliness, shameless guile, and eruptions of murderous rage, Captain Smollett's honest fortitude and command, Ben Gunn's cracked craftiness, and Cap'n Flint's wicked parroting of "Pieces of eight!" I felt as if the book were being read by a full cast, including one parrot who had seen too much of wickedness. 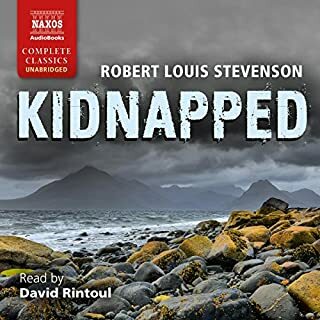 Robert Louis Stevenson's novel is a true boys' adventure classic, filled with vivid and concise descriptions, exotic settings, suspenseful action, perfect surprises, savory conversation, spicy humor, and a philosophical depth lacking in many stories of its genre. Stevenson does not romanticize his "gentlemen of fortune" pirates: they are wasteful, fickle, ignorant, violent, superstitious, and treacherous, and hence very human. By thunder! Don't be as craven as a weevil in a biscuit: listen to Jasper Britton's reading of Treasure Island. Yes. It is a spell bounding tale of continuous intrigue. War of the Worlds. They both keep you constantly anticipating more. What does Jasper Britton bring to the story that you wouldn’t experience if you just read the book? 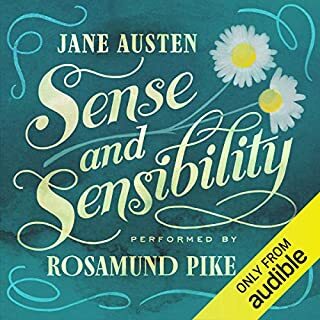 The story is of course a classic tale, and Jasper Britton delivers a masterful performance of this timeless classic. 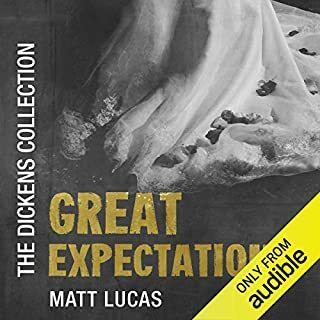 I sampled other versions, and there are several nice narrations out there, but I cannot imagine this intriguing, imaginative tale being delivered any better than Britton does here. 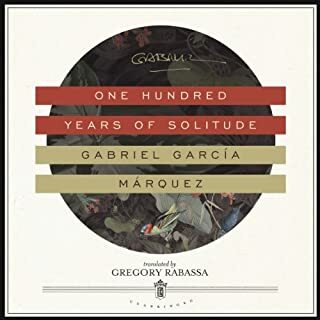 He flows easily between the characters, painting vivid pictures and providing a delightful listening experience. Britton keeps the story moving at a good pace with joyful exuberance. I listened to this with my children, and we were riveted to the speakers with great anticipation. 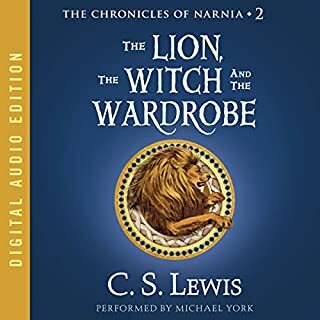 There may be theatrical versions and movies of this timeless classic which do the story some justice, but classics like this should be experienced as the author provided it, in its unabridged form, and this version is vivid, imagination-rich theatre for your ears and mind. Very Highly Recommended! 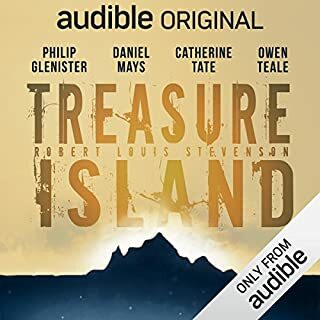 Would you consider the audio edition of Treasure Island to be better than the print version? 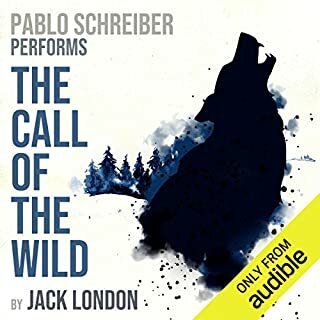 The narrator (Jasper Britton) breathed new life in the the characters in such a way I felt like I was reading this childhood favorite for the very first time. The narrator makes the story come alive! 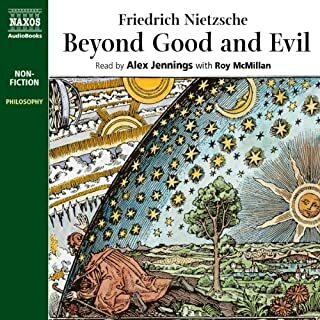 This is a classic worth listening to even if you've read it many times before. Jasper Britton is amazing at recreating the feel of the times through his narration. Highly recommended. Reader Jasper Britton breathes new life into Stevenson's classic tale. Listening to this version of Treasure Island was an absolute blast. 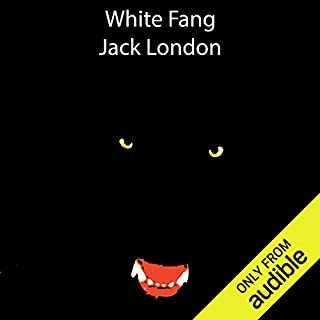 Great Narration and you may lay to that! It's a classic for a reason. But what really made this great for me was the narration. The pace and pitch perfect for every scene. Character voices so distinct and varied you could put a face to them easily. 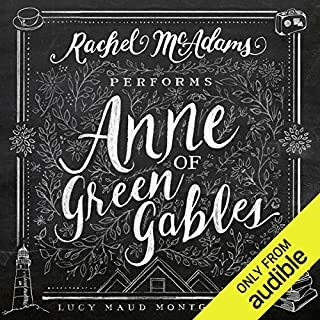 I had no idea a "pirate" book could be so good and fun to listen to. I listened to it two times in a row and know I will still listen again in the future. The story was great and I get a kick out the "pirate" idioms. No wonder there's an offical Speak Like A Pirate Day (September 19). What made the experience of listening to Treasure Island the most enjoyable? It's a classic! Also, this is the quintessential "boys' adventure". Many years after I read it in school, Treasure Island hasn't aged one bit. Britton is an amazing narrator for Treasure Island. He somehow manages to create unique voices for each of the characters, which is quite amazing. Nothing in particular. Even thoughI know the book almost by heart, listening to it is another experience altogether. 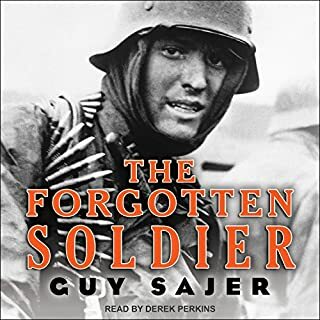 This is a great book to have in your library. 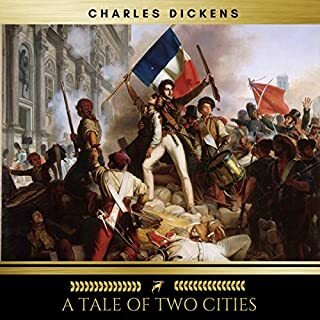 If you're like me and enjoy classic literature, this should be your cup of tea.